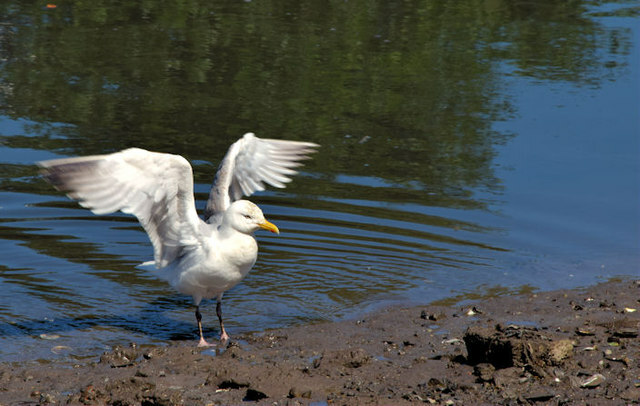 A gull with (muddy) red legs on the Connswater at the northern end of Victoria Park. The red legs suggest that it’s a herring gull – similar in appearance to the lesser black-back J3474 : Lesser black-backed gull, Belfast (2) which has yellow legs. See also J3675 : Gull, Victoria Park, Belfast - June 2014(2).